Face au blocage de la situation, de plus en plus de voix s’élèvent pour soutenir l’organisation d’un second référendum, dans l’opposition comme chez les conservateurs. Une cinquantaine de personnalités du monde économique ont également défendu cette option mardi dans le quotidien Daily Telegraph, même si elle est catégoriquement rejetée par Theresa May. Aller, faut revoter quoi... Peut-être que ça se passera mieux cette fois ? Une chose qu’on peut leur reconnaître, c’est de savoir faire face à l’arrogance des institutions européennes. 29 Mars 2019 : La fin du monde ! En matière d’arrogance, la Grande-Bretagne est pas mal en tête ! Les brexiters étaient convaincus que l’UE allait se plier à leurs exigences, tout pétris de leur propre importance qu’ils étaient. Ils se sont bien cassé le nez. Ne pas confondre les électeurs anglais et leur classe politique, aussi ignoble que la notre. La Grande-Bretagne a choisi le camps US à la place de celui de l’UE. Derrière la propagande déversée journellement par la presse à gage, il y a la réalité. L’union européenne fait aussi tout pour que ça se passe mal, puisqu’elle a perdu la face. Le Brexit a toute les chances de se faire, et sa forme est à inventer. c’est toujours la faute de l’Europe, comme ça au moins on est toujours gagnant. Oui, tout à fait. Et l’UE est légitime, parce qu’elle est légitime, parce qu’elle est légitime, et parce qu’elle est légitime. Donc, par force, tous ceux qui critiquent les actions menées en notre nom par l’Europe sont illégitimes, et ils sont aussi illégitimes, et pire que ça, ils sont anti-démocratiques. Voire populistes. Dingue comme on s’défrise les neurones avec les Européens, les vrais, qui savent reconnaître la vraie légitimité au milieu d’une botte de foin de brexiters imbéciles. ça je peux y jouer aussi : tous ceux qui critiquent Brexit sont des bobos élitistes qui méprisent le peuple et ses décisions. La Grande-Bretagne est très mal en point : la pauvreté a un niveau qui devrait être inacceptable pour un tel pays, le NHS et les services sociaux sont asphyxiés et chaque année un peu plus atrophiés, etc.. Il y a tellement de choses à faire et à réparer ! Au lieu de ça, on perd 2 années et des milliards pour une idée à la con, mise en place par des bras cassés. Quel immense gâchis. 2 années et des milliards pour une idée à la con ? ? ? L’union européenne des paradis fiscaux existe depuis plus longtemps que ça, comme idée à la con. Et en quoi ça fait avancer le schmilblick de sortir de l’Europe ? Je note qu’il y en a qui parlent de l’UE, et d’autres qui parlent de l’Europe. D’un côté, on parle d’une institution néfaste contrôlée par des malfaisants. De l’autre, on parle d’un concept fourre-tout érigé en totem par ceux que De Gaulle décrivait comme des cabris. For, after painstakingly scrutinising the evidence, and crunching the numbers, Christophers arrives at this extraordinary estimate: since 1979, no less than 10% of the land area of Britain has been sold by the state – in all its various guises and incarnations – to the private sector. What land exactly are we talking about here? There’s certainly been a great deal of Forestry Commission land shed (at its peak, in 1981, it’s estimated that some 10% of Scotland was owned by the commission), although not as much as you might expect. And there is the land associated with the formerly nationalised industries – railways, coal, steel, water etc. Local authorities have notably allowed schools to build on their playing fields, and allotments to be concreted over, while the NHS, since the establishment of the so-called internal market, has disbursed itself of great swatches of the green and pleasant stuff, together with assorted buildings. As a result, some trusts now find themselves in the invidious position of having to buy back land to build hospitals on. As do some of those councils with the temerity to start building social housing again, because, of course, the land beneath the properties Margaret Thatcher gave their tenants the “right to buy” has been flogged off as well. So has a lot of the Ministry of Defence’s estate – old aerodromes and redundant firing ranges – but Christophers devotes considerable space to the utter fiasco attending the sell-off by the MoD of its residential properties. I could go on: suffice to say we’re talking billions of pounds here, approximately 400 of them. Christophers estimates total land privatisation sales to exceed the government’s bail out of RBS [Royal Bank of Scotland] by a factor of 12. This is the “new enclosure” of Christophers’ title: a transfer of rights to land comparable to the great centuries-long alienation of the so-called “commons” that constituted – for Marx at least – the “primary accumulation” of capitalism. Cet homme doit vendre sa maison parce qu’il a vécu trop longtemps. C’est encore un exemple pour la détérioration du système de soins au Royaume Uni. Bob Frost, from Sandwich, Kent, had hoped to pass the £300,000 property to his children but this may no longer be possible after his NHS funding was withdrawn when he recovered from an illness. 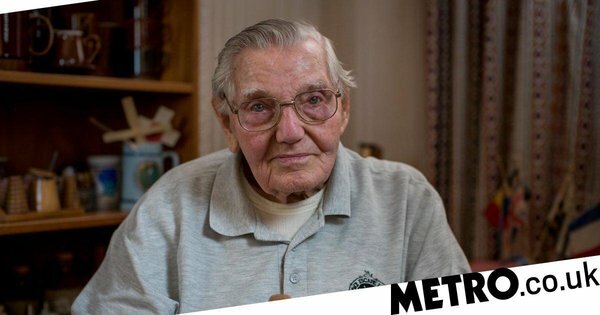 Mr Frost is now in the care of Kent County Council social services, who told him he will have to contribute to his care. Refugee doctors will be trained to work in general practice under a scheme set to launch this winter. The first-of-its-kind programme is being set up by BMA charities chairman Dr Andrew Mowat - who hopes some of the hundreds of refugee doctors living in the UK can be encouraged to take up GP careers. ‘I am setting up a refugee doctor programme in north-east Lincolnshire and we are just about ready to go,’ Dr Mowat told GPonline. ‘It’s going to be focused particularly on primary care with most of the placements in primary care. The scheme, set up by Lincolnshire LMC, Northern Lincolnshire and Goole NHS Foundation Trust and North East Lincolnshire CCG, with funding from Health Education Yorkshire & Humber - aims to recruit 10 refugee doctors this winter and then to expand. Doctors will be offered community placements and ’mentors, tutors and supporters drawn equally from primary care as from hospital care’. The refugee scheme comes as the number of full-time equivalent GPs in England is continuing to fall, with more than 500 leaving the workforce in the three months to June 2018. Lincolnshire is feeling the effects of the GP workforce crisis particularly keenly, Dr Mowat said, with roughly 50-70 vacancies in general practice across the county. Hundreds of refugee doctors are in the UK, but many are currently not in work. The BMA has 640 doctors registered with its refugee doctors initiative - only around 100 of whom have gone on to work in the NHS, according to Dr Mowat. Research commissioned by the BMA has shown that it costs almost £300,000 to train one foundation year (FY) 2 doctor in the UK - compared with just £25,000 to retrain a refugee doctor into work. Dr Mowat said the Lincolnshire scheme would start with doctors only, and could expand later to help other refugee health professionals into work. Existing refugee schemes were based in major cities, he added - and rurality could be a ’unique selling point’ for the programme. A recent report from London-based charity Building Bridges - one of the existing refugee doctor schemes - there is a ‘growing interest’ in general practice among refugee doctors even though many come from countries that ‘tend not to have well-developed primary care’. One practice that has offered placements to refugee doctors through Building Bridges is Gordon House surgery in Ealing. GP principal Dr Ravi Ramanathan told GPonline: ‘We have had two doctors so far, Aweed and Ayub, who are both from Afghanistan. They worked as healthcare assistants and note summarisers at the practice and were supervised by our senior nurses Marie and Robyn. Margaret Thatcher’s government drew up a secret blacklist of its own civil servants thought to be “subversives” in order to keep them under observation and block their promotion, papers released at the National Archives disclose. Whitehall departments worked with MI5 to identify 1,420 civil servants to be closely watched and, where possible, kept away from computers and revenue collection roles. The majority, 733 people, were identified as Trotskyists, and a further 607 as communists. Forty-five were said to be fascists, and 35 Welsh or Scottish nationalists, “black or Asian racial extremists” or anarchists. MI5 also compiled lists of suspect local councillors and active trade unionists deemed to be of similar concern. The agency warned that because central government did not directly employ health workers, it was unable to compile a list of “subversives” in the NHS “without alerting those concerned, with a high risk of public exposure of our investigation”. Il me semble avoir vu un documentaire sur Arte, il y a fort longtemps, sur le même genre de pratiques, sur pressions américaines, à l’usine Fiat de Turin dans l’immédiate après-guerre. Back in 2010 I wrote an article arguing that we would have failed as a nation if, by 2018, there was still no substantive recognition for the Windrush generation on the 70th anniversary of their arrival in Britain. I have been part of a call to action for a public holiday called Windrush Day on 22 June, the anniversary of the arrival of the MV Empire Windrush at Tilbury docks in 1948. 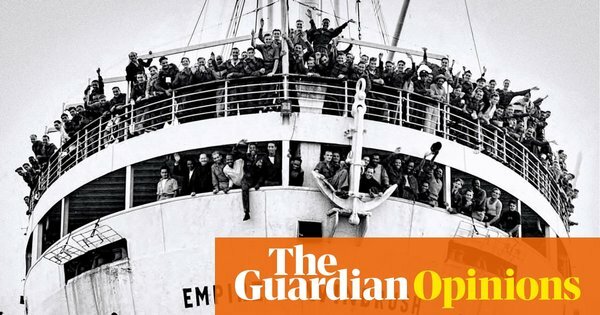 For we need to remember that many aspects of British society today would be unrecognisable without the contributions that immigration and integration have made: from the NHS to the monarchy, our language, literature, enterprise, public life, fashion, music, politics, science, culture, food and even humour. 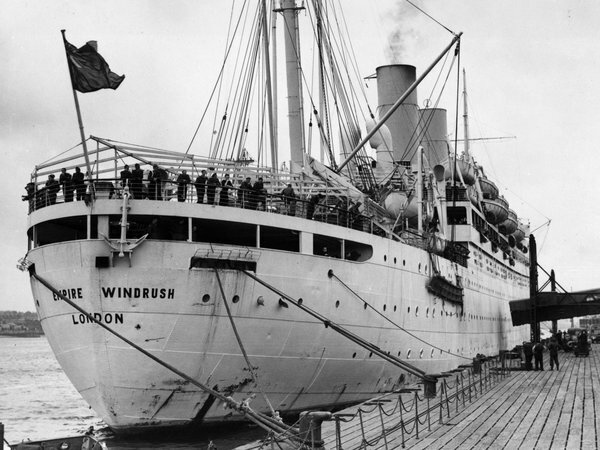 The plight of members of the Windrush generation wrongly threatened with deportation was branded a “day of national shame”, after the home secretary apologised for their treatment. 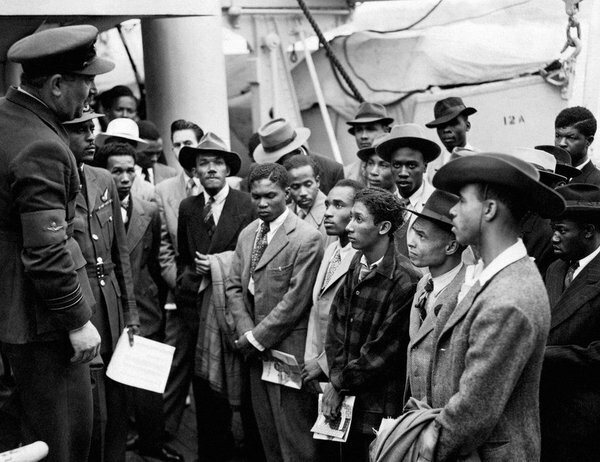 Pioneers from the Caribbean arrived in Tilbury, Essex, 70 years ago, marking the beginning of large-scale West Indian immigration. 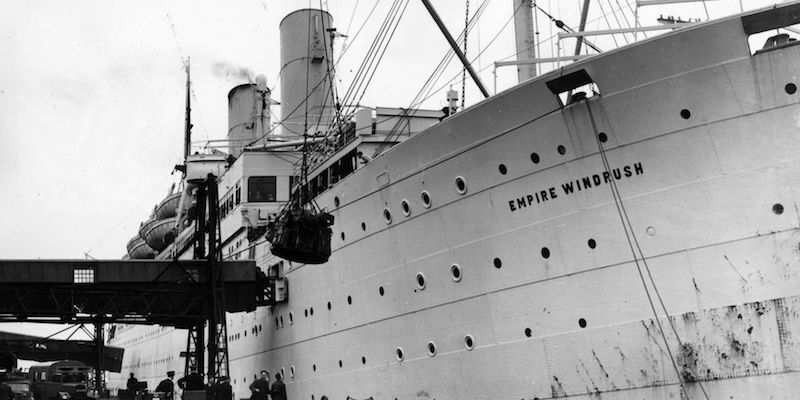 The mother of a Windrush citizen who died suddenly last month after being classified as an illegal immigrant and sacked from his job believes the stress caused by his immigration problems was responsible for his death. Dexter Bristol, who was 57 when he died, moved from Grenada to the UK when he was eight in 1968, to join his mother who was working as an NHS nurse, and spent the rest of his life in the UK. He was sacked from his cleaning job last year because he had no passport, and was denied benefits because officials did not believe he was in the country legally. First, There was no hack. The data collected was scraped from #Facebook user profiles, after users granted permission for a third party app to access their data. You know those little confirmation windows that pop up when someone wants to play Candy Crush or use Facebook to log in, rather than make a new password, for a random site? Yeah those. A Cambridge academic called Aleksandr Kogan — NOT Cambridge Analytica and NOT the whistleblower Christopher Wylie — made a ‘Test Your Personality’ app, helped to promote it by paying people $2–4 to install it on Amazon’s Mechanical Turk crowdsourcing site, and used the permissions granted to harvest profile data. 270,000 users installed the app, so you might expect that 270,000 profiles were collected but the app actually collected data from 50 million profiles. Yes. You see back in the heady days of 2014, Facebook had a feature called ‘friends permission’ that allowed developers to access the profiles of not only the person who installed their app but all their friends too. The only way to prevent this from happening was to have toggled a privacy setting, which few Facebook users even knew existed (here is a blog from 2012 explaining how to do so). The friends permission feature is how Kogan multiplied 270,000 permissions into 50 million profiles worth of data. The real story then is not that Kogan, Wylie, and Cambridge Analytica developed some incredibly high tech ‘hack’ of Facebook. It is that, aside from Kogan’s data selling, they used methods that were common place and permitted by Facebook prior to 2015. Cambridge Analytica has since the story broke been outed as a rather obnoxious, unethical company- at least in how it promotes itself to potential clients. But the majority of what is being reported in the media about its manipulative power is just an uncritical regurgitation of Cambridge Analytica (and Chris Wylie’s) self-promotional claims. The problem is that there is little evidence that the company can do what it claims and plenty of evidence that it is not as effective as it likes to pretend; see the fact that Ted Cruz is not currently president. No one is totally immune to marketing or political messaging but *there is little evidence that Cambridge Analytica is better than other similar PR or political canvassing companies at targeting voters. Political targeting and disinformation campaigns, including those promoted by Russia, certainly had an impact on recent elections but were they the critical factor? Did they have a bigger impact than Comey announcing he was ‘reopening’ the Hillary email investigation the week before the US election? Or Brexiteers claiming that £250 million was being stolen from the NHS by the EU every week? Colour me skeptical. To be crystal clear, I’m not arguing that Cambridge Analytica and Kogan were innocent. At the very least, it is clear they were doing things that were contrary to Facebook’s data sharing policies. And similarly Facebook seems to have been altogether too cavalier with permitting developers to access its users’ private data. 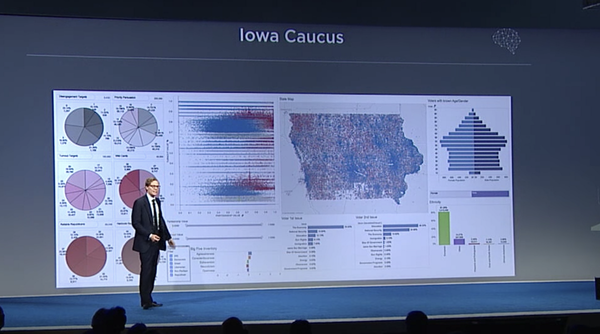 What I am arguing is that #Cambridge_Analytica are not the puppet masters they are being widely portrayed as. If anything they are much more akin to Donald Trump; making widely exaggerated claims about their abilities and getting lots of #attention as a result. Des médecins britanniques ont utilisé avec succès des cellules souches pour réparer le tissu dégénératif à l’arrière des yeux de deux patients dans une première mondiale, annulant de facto la perte de leur vision. On espère maintenant qu’une forme abordable de cette thérapie pourrait être offerte au Royaume-Uni au cours des cinq prochaines années, ouvrant la voie à plus d’un demi-million de personnes au Royaume-Uni et à des millions d’autres dans le monde entier pour que leur vision altérée soit rétablie. Les deux patients âgés mentionnés (dans une étude de cas récemment publiée) souffraient d’une condition appelée dégénérescence maculaire – une condition liée à l’âge de la rétine qui est responsable d’environ la moitié de tous les cas de cécité. En termes simples, la maladie implique une dégradation de la couche cellulaire derrière les bâtonnets et les cônes photosensibles formant la rétine de l’œil. Cette couche de tissu, appelée épithélium pigmentaire rétinien, aide à transporter les nutriments dans la couche externe de la rétine et à éliminer les déchets ; sa perte entraîne l’accumulation de matériaux qui tuent lentement les cellules environnantes. Au fil du temps, cette dégénérescence constante peut se transformer graduellement en une tache aveugle qui interfère avec la vision d’une personne. Les causes fondamentales de l’échec de la couche cellulaire ne sont pas très claires, mais le risque de contracter la maladie augmente considérablement chez les personnes de plus de 50 ans. Bien que de petite taille, la position des taches aveugles tombe sur une zone minuscule appelée la macula – une zone de tissu qui capte la plupart des détails de ce que nous recherchons. Cela exclut la lecture, la télévision ou même la reconnaissance des visages. Pour Douglas Waters, âgé de 86 ans, l’un des bénéficiaires de la thérapie, la condition signifiait perdre la moitié de son champ de vision. 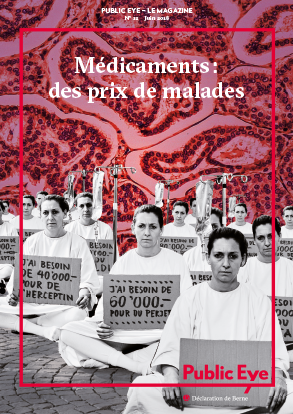 “Dans les mois qui ont précédé l’opération, ma vue était vraiment mauvaise et je ne pouvais rien voir de l’œil droit”, a déclaré James Gallagher au correspondant de la BBC pour la santé et les sciences. Il existe des traitements pour les formes les plus sévères de dégénérescence maculaire, mais ils peuvent impliquer des injections fréquentes dans l’œil, ce qui, nous pouvons tous en convenir, n’est pas exactement un concept agréable. Douglas Waters était l’un des deux patients à subir une intervention chirurgicale il y a un an, où un patch de cellules souches embryonnaires spécialement conçues, d’une épaisseur de 40 microns et d’une largeur de 4 millimètres sur 6 millimètres, a été inséré dans la rétine. Ces cellules n’ont pas seulement été cultivées pour répliquer les diverses cellules de l’épithélium pigmentaire rétinien, elles ont été enduites d’un composé synthétique qui les ont aidées à bien adhérer. Une étude de cas de suivi de 12 mois sur les progrès des patients a révélé que les deux patients présentaient des améliorations significatives. Bien que les cellules transplantées n’étaient pas un substitut parfait, avec quelques petits signes de rejet causant une propagation inégale des cellules, elles semblaient relativement saines. 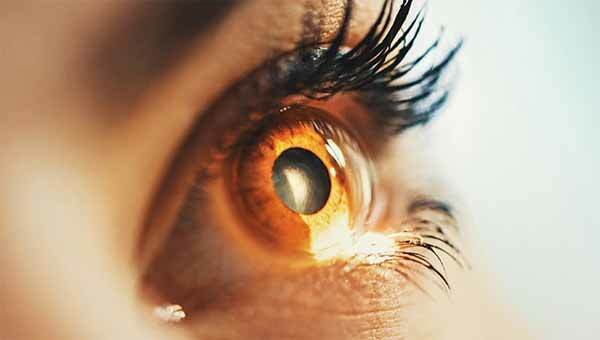 Les deux patients ont également fait état d’une amélioration de leur vision, ce qui est vraiment là où tout ça devient important. 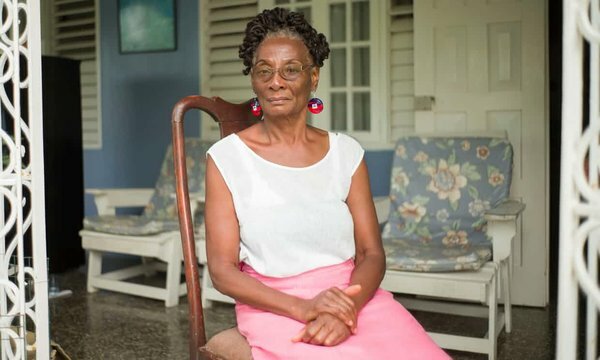 “C’est brillant ce que l’équipe a fait et je me sens si chanceux d’avoir retrouvé la vue”, a déclaré Waters à la BBC, affirmant qu’il pouvait maintenant lire le journal. Une surveillance plus poussée contre le rejet et les changements cancéreux dans les cellules permettra également de s’assurer que la procédure est aussi sûre et efficace que possible. L’équipe de recherche a la permission, à ce stade des essais cliniques, de tester la procédure sur huit autres receveurs. 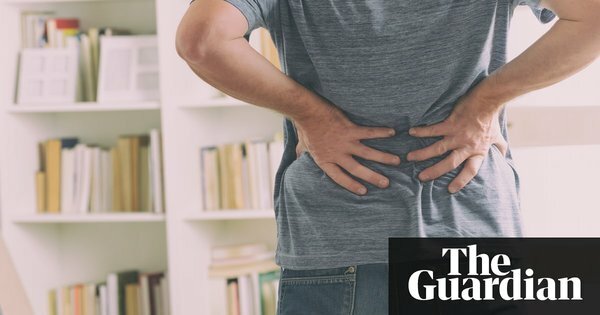 Si tout continue à bien se dérouler, la procédure pourrait bientôt être plus largement disponible. “Nous espérons que cela mènera à une thérapie abordable qui pourrait être mise à la disposition des patients du NHS dans les cinq prochaines années”, a déclaré Pete Coffey, ophtalmologiste de l’Institut d’ophtalmologie du University College of London pour la BBC. L’avenir nous dira ce que cela signifiera pour les quelque 100 millions de personnes dans le monde qui seront confrontées à une dégénérescence maculaire liée à l’âge. Une autre thérapie prometteuse testée l’année dernière a utilisé un virus artificiel injecté dans l’œil pour ralentir et même inverser les effets de la maladie, mais il semble que l’immunité du patient soit affectée chez certains des patients. Bien que la procédure soit plus invasive, les cellules souches pourraient être la voie à suivre. Nous ne pouvons qu’espérer que Doug Waters soit le premier d’une longue liste à obtenir un nouveau souffle sur la vue. Cette recherche a été publiée dans Nature Biotechnology. 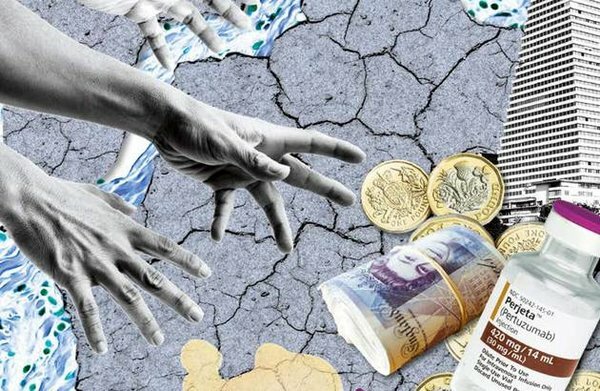 The government’s charging regime risks costing the lives of thousands of people who can’t pay, such as Albert Thompson, who moved here 44 years ago. Our strike is about pensions, but it is not only about pensions. It is also about the structural changes that have seen increasing numbers of colleagues employed on temporary / precarious contracts. These changes in the nature of employment, while deleterious for individual colleagues, also have collective consequences, namely in terms of how pensions will be funded into the future. 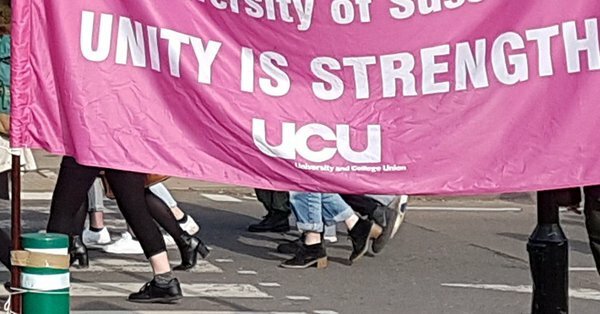 “No more discipline, life’s magical” … has been singing in my head as I see colleagues laugh in the face of the absurd claims by the all-round absurdness that is university management. Don’t focus on the reverberating sounds of the echo chamber, look at the structure that has formed it, before you even realised, and right before your eyes. hildren as young as 12 are making surgical instruments in hazardous conditions in Pakistan, prompting fears that the tools could be used in the NHS, the Guardian has discovered. In Sialkot, Punjab, where 99% of Pakistan’s surgical instrument production is centred, illegal child labour was witnessed in at least a dozen small workshops. Boys are paid less than $1 (70p) a day to cut, drill, bend and polish steel pieces into gleaming surgical tools for export. 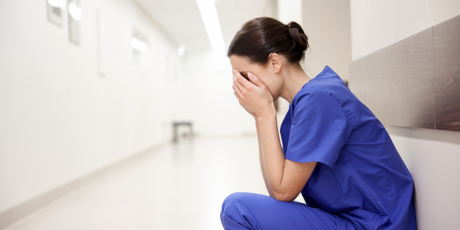 The effects of years of austerity on hospital budgets, combined with the market mechanisms which allocate NHS funding, are also driving the workload up for nurses. Hospitals receive a payment (a tariff) per patient admission. Hospitals facing #budget restrictions and reductions in bed numbers are utilising medical and surgical advancements to improve patient care, but also to minimise time as inpatients. This is done to maximise through flow of patients so they can receive as many tariff payments and maximise their income at times of budget restrictions. They do this so they can afford to pay staff and continue to maintain services, but it drives up nurses workload to an unprecedented level. Whereas 15-20 years ago patients would stay on wards for weeks at a time till they were full recovered, now it’s common for patients to be discharged home as soon as they are stable and not acutely unwell, the remainder of their care being carried out in the community. 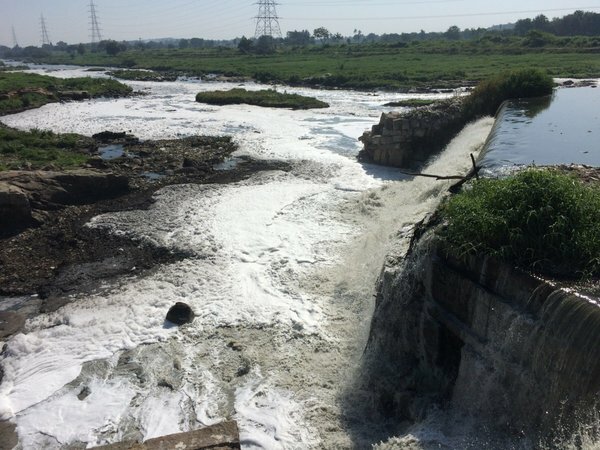 Many of the world’s leading drug manufacturers may be leaking antibiotics from their factories into the environment according to a new report from a drug industry watchdog. This risks creating more superbugs. 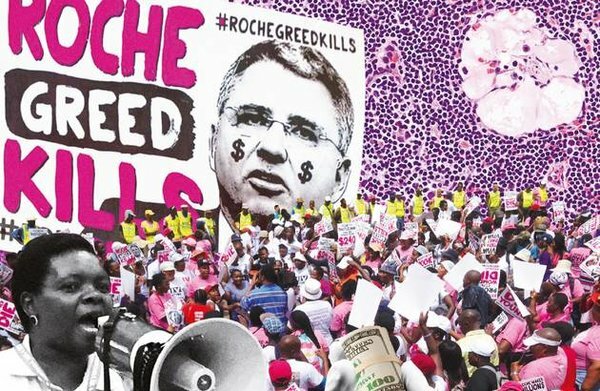 The report surveyed household-name pharmaceutical giants like #GSK, #Novartis and #Roche as well as generic companies which make non-branded products for the NHS and other health systems. 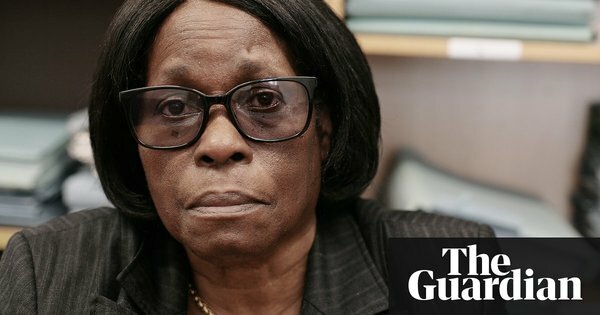 Dying Migrants Too Scared To See A Doctor For Fear Of Deportation, MPs Are Warned. Seriously ill migrants are too scared to seek medical treatment in the UK for fear of being deported, MPs were warned today. Experts told Parliament’s health select committee that data sharing systems between the NHS and Home Office leave many too scared to see a doctor, leading to people dying from treatable illnesses and pregnant women missing out on vital care. Marissa Begonia of Voice of Domestic Workers, which campaigns for recognition and representation for household workers, was reduced to tears as she explained how one woman died because she was too worried about seeking help for her persistent cough. “We had one member who died and never sought any hospitalisation or GP because she was too frightened,” she said. 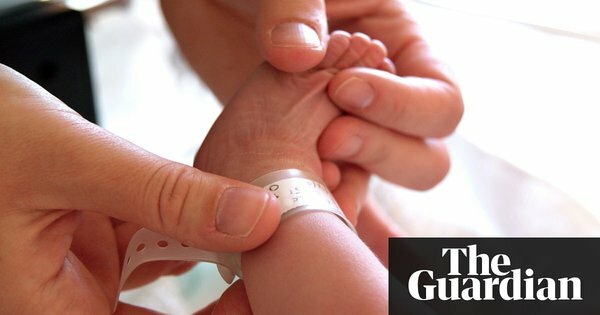 Dr Lucinda Haim, a GP at Doctors Of The World, which provides treatment to those excluded from healthcare, said the organisation had seen many cases of pregnant women seeking help from them - or from accident and emergency departments in hospitals - because they were too scared to give their address to a GP. Plus de 100’000 flacons d’un médicament anticancéreux périmé ont été distribués par une entreprise valaisanne et administrés à des patients en Suisse et en France entre 2007 et 2011, rapporte la presse dominicale. Le Matin Dimanche et la SonntagsZeitung rapportent que la société Alkopharma de Martigny (VS), distributrice du Thiotepa, falsifiait les dates de péremption de cet anticancéreux qui avait une durée de vie de 18 mois. Certains flacons ont été vendus sept ans plus tard et ne contenaient plus la dose de principe actif exigée. L’affaire touche la plupart des hôpitaux suisses. Les journaux soulignent que la moitié des flacons falsifiés ont été administrés à des enfants. Au total, Alkopharma a vendu 98’820 flacons du médicament en France pour plus de 3,2 millions d’euros et 2119 en Suisse pour plus de 207’500 francs. Un tribunal valaisan a condamné en juin 2016 les deux responsables de l’entreprise à des jours-amendes ou des peines pécuniaires. L’entreprise a fait faillite. 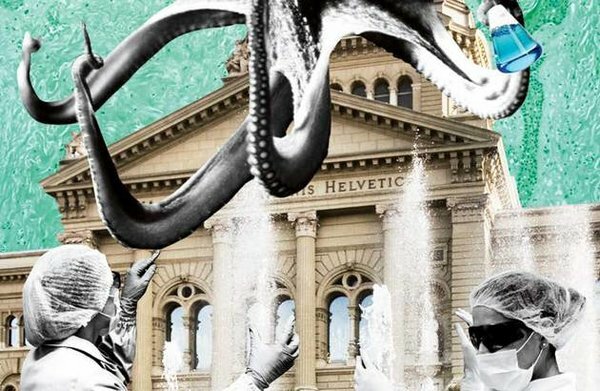 Swissmedic a fait recours, estimant la peine trop légère, notamment parce que le juge n’a pas retenu la mise en danger de la santé des patients. L’affaire sera jugée prochainement. Les journaux dominicaux pointent en outre que le président de la Banque cantonale du Valais (BCVs) est un ami du patron d’Alkopharma. En faillite, l’entreprise avait bénéficié d’un crédit de 85 millions de la part de la BCVs. 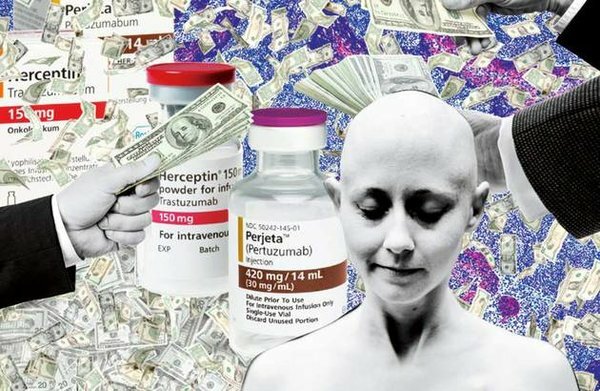 Selon les journaux, la banque risque de perdre 17 millions de francs à cause de la faillite d’Alkopharma. Swissmedic a amendé les hôpitaux universitaires de Zurich et Bâle ainsi que l’hôpital cantonal de St-Gall. Ces établissements n’ont pas annoncé du matériel souillé, dangereux pour les patients, en provenance du Pakistan. En dépit de leurs obligations légales, ces hôpitaux n’ont pas informé Swissmedic à propos du matériel défectueux. Pour l’autorité de surveillance, ils ont gravement violé leur obligation de notification, a indiqué samedi Danièle Bersier, porte-parole de Swissmedic, confirmant une information de plusieurs médias. Les produits concernés comprennent entre autres des canules utilisées pour des opérations du coeur sur des bébés et des canules d’aspiration. Elles étaient en partie rouillées, déformées, contenaient des copeaux de métal ou se cassaient. Les produits provenaient du Pakistan et étaient commercialisés par une entreprise basée dans le canton de Zoug. Swissmedic a pris connaissance des abus et des noms des hôpitaux livrés suite à une perquisition dans la firme zougoise. En juillet 2017, la sanction est tombée : 5000 francs d’amende. En cas de récidive, la facture peut grimper jusqu’à 50’000 francs. Swissmedic a également engagé une procédure contre l’entreprise zougoise. Selon les informations publiées sur le site de Moneyhouse, plateforme qui reprend des informations du registre du commerce, la société est en liquidation. @Reka , pour compléter ton article. La Suisse, maintenant l’Angleterre, à quand en France ? 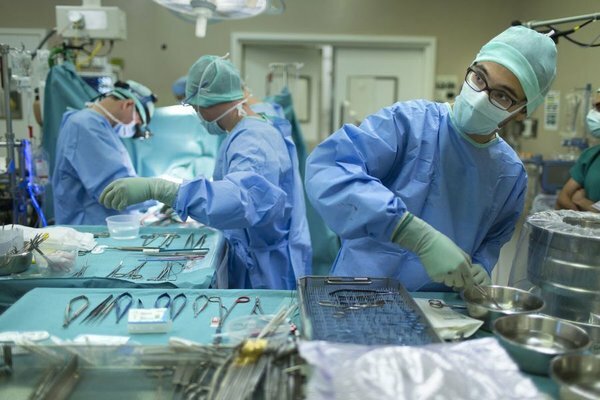 Children as young as 12 are making surgical instruments in hazardous conditions in Pakistan . . . . .
On est peu de chose finalement. gyptian authorities have detained a British woman who entered the country carrying painkillers. Laura Plummer, 33, a shop worker who lives in Hull, was arrested after 290 tramadol tablets and some naproxen for her husband’s sore back was found in her suitcase. She then reportedly signed her name beneath a 38-page statement in Arabic, upon request, believing she would be able to leave the airport afterwards and begin her two-week break by Red Sea. 290 comprimés de tramadol (dosés à ? ), qui est certes un antalgique mais opiacé, pour 15 jours, soit une moyenne de quasiment 20 comprimés par jour, ça fait quand même beaucoup. 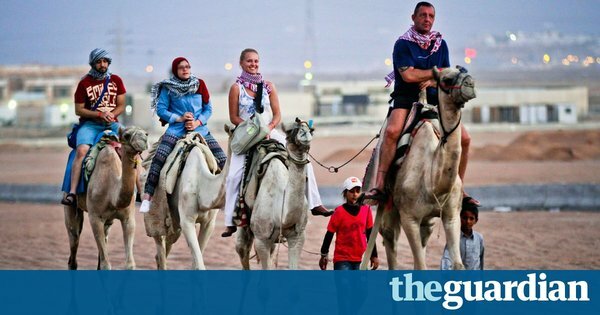 The 33-year-old from Hull had flown to the Egyptian resort of Hurghada to visit her husband, who suffers from back pain. Before she left, a friend who had been prescribed with several hundred Tramadol tablets gave them to Ms Plummer so that she could take them to her husband. There are several questions that the NHS will be keen to ask about how controlled medication in such quantities was obtained by one person (normally prescriptions are restricted to 30 days’ supply), and then taken out of the UK by someone else. As it is, unfortunately she arrived with a significant quantity of medicines which are regarded as illegal drugs in Egypt. The UK classified tramadol as a Schedule 3 controlled drug (CD) on 10 June 2014, but exempted it from the safe custody requirement.